Godaddy is the largest domain registrar in the world. They’ve entered the managed WordPress hosting space and are offering blazing fast, secure, and totally hassle free managed WordPress hosting an incredible price of $1.00 per month. This is by far the most affordable deal in the market. On top of that, you will also get a free domain among all their features such as nightly backups, one-click migration, security firewalls, automatic updates, and more. How to Use GoDaddy Coupon Code? WPBeginner’s exclusive GoDaddy Coupon code helps you get managed WordPress hosting at the incredible price of $1.00 per month. All you have to do is follow the instructions below to properly redeem the GoDaddy coupon code, so you can get the maximum discount on GoDaddy WordPress Hosting. To get started, be sure to click the link from this page to open the GoDaddy website. By using the WPBeginner link, the GoDaddy discount will be automatically applied. On the GoDaddy website, you’ll see a popup message in the top right corner of the website confirming the GoDaddy deal of $1.00 per month managed WordPress hosting. The page will feature a message about Managed WordPress hosting. Click the “Get Started” button to begin. On the next page, first make sure the Basic Plan is selected at the top of the page. Then scroll down and select “12 months” for your term length. While it doesn’t show the discount now, it will later on after it’s added to your cart. Scroll down to the bottom of the page to click the “Continue” button. Next, enter your desired domain name and click “Search” to make sure it’s available. After selecting your domain, make sure that your discount has been applied. Click the “Proceed to Checkout” button when ready. 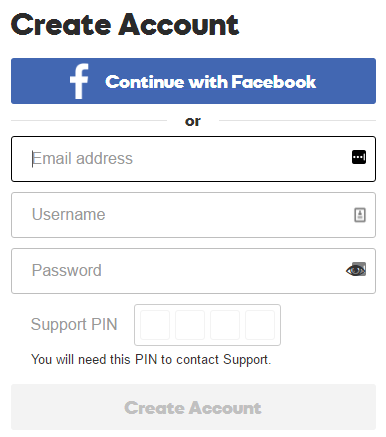 Log in if you’re already a customer, or click the “Create an account” link at the bottom of the page. Enter your email address, a strong unique password, and a 4-digit PIN. That’s all. Go ahead and click the “Create Account” button and enter your contact and payment information to complete your purchase. We hope you found our GoDaddy coupon code to be helpful. At WPBeginner, we work hard to negotiate exclusive discounts for our users.